Latest News and Views Article now Online “Degrading Claspin away with Cdh1 and Cyclin A”. Great news, our latest article in @CellCycleJ is now online. The News and Views article is based on the recent publication by Oakes, V. et al. 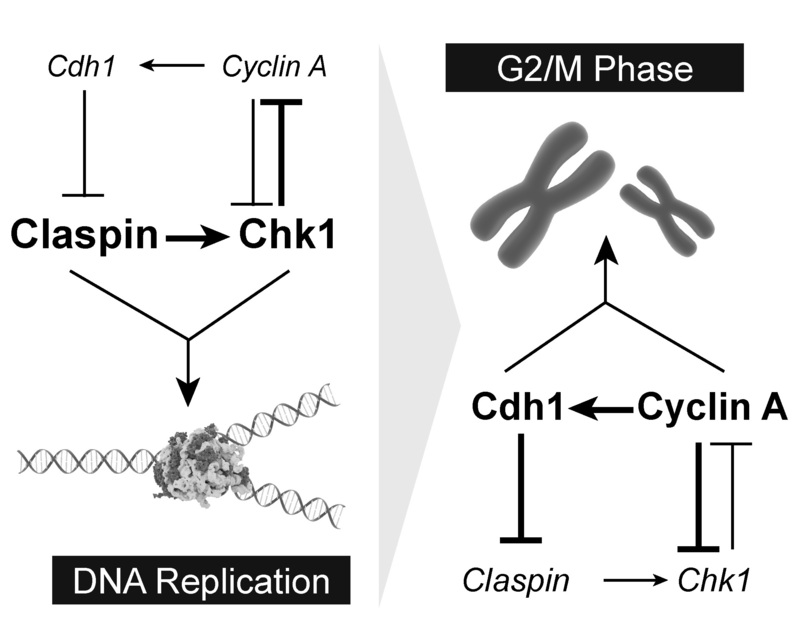 entitled “Cyclin A/Cdk2 regulates Cdh1 and claspin during late S/G2 phase of the cell cycle” Cell Cycle 13, 3302–3311 (2014). Here is a sneak peak at the figure from our article. This entry was posted in News and tagged APC, Cancer, Cdh1, Cdk, Cell cycle, Claspin, Cyclin A, DNA damage, G2 checkpoint, Plk1, protein degradation, S phase.